UPDATED: We have completed our wrap up review of the live Q&A event - be sure to read our post as we summarized Ed's best responses (he even answered two of our questions). Whether you're interested in Pixar's business practices or simply want a sneak peek into Ed Catmull's creative mind, Creativity, Inc. brings readers into a world that offers an escape from the ordinary and into a life full of determination, hard work and a bit of fun. 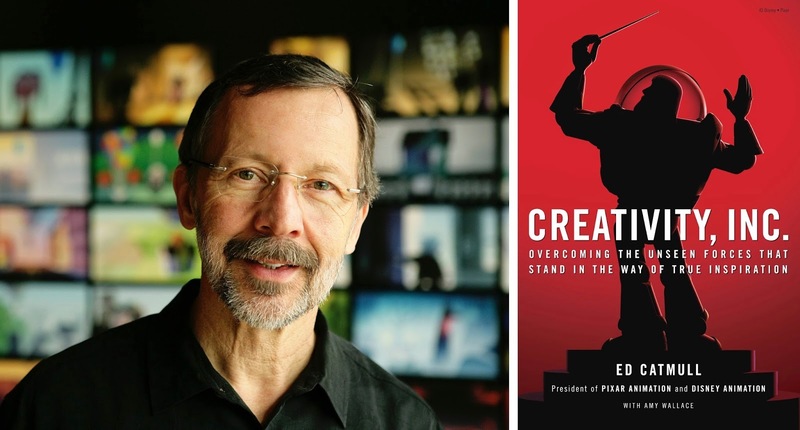 Continuing to promote Creativity, Inc., Catmull will be participating in a live question and answer session hosted by The Guardian (a British news website) which will take place on April 22 from 11am to 12:30pm BST (or 6:00am EST). This is a great opportunity to seek answers to any curious questions you may have about Catmull's business ventures to questions regarding Pixar Animation Studios. To submit your question all you need to do is create a Guardian account (free) and add your question into the comment section (which you can do directly on the Guardian site). - Pixar Post Episode 026, Our First Take of Creativity, Inc.